1. Be there fully for people. 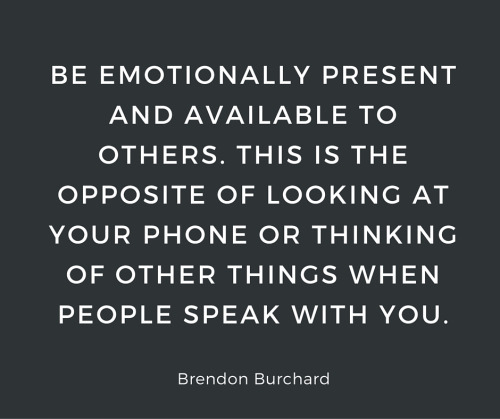 Be emotionally present and available to others. This is the opposite of looking at your phone or thinking of other things when people speak with you. Influencers are vibrantly present with those they meet and lead. Also, be there consistently for others – not just when it’s convenient and transactional. Be steady and available for people over the long term and they look up to you. 2. Project positive energy. Find the good or positive intent and lesson in all experiences, even those that appear negative. 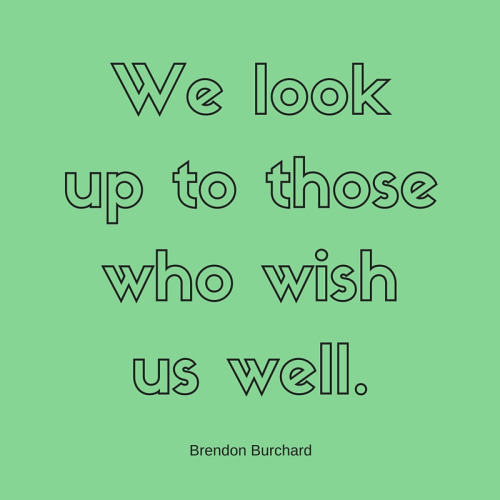 Put a positive vibe out to others by seeing them and mentally saying and projecting, “I wish you joy, abundance, love and health.” We look up to those who wish us well. 3. Help others discover their truths. Ask questions and get people thinking about what is important for them. Influencers teach us how to think by posing questions, helping us explore our thoughts and dreams, focusing on our stories and interpretations. 4. Just get it done. To make a difference in other people’s lives, first you have to show them how you make a difference by being proactive. When people see you struggle, achieve your goals, and rise from adversity, they will be inspired by you. The world needs to see you be the best of you. The world needs to see more people living the charged life!